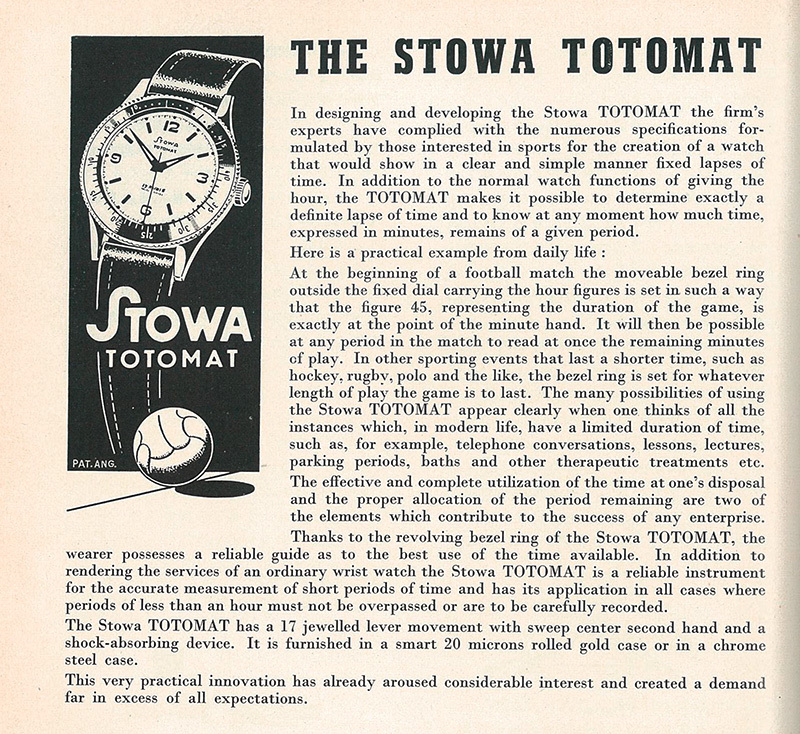 STOWA's sales activities in over 80 countries around the world (and that's how it still is today!) Also required some advertising. 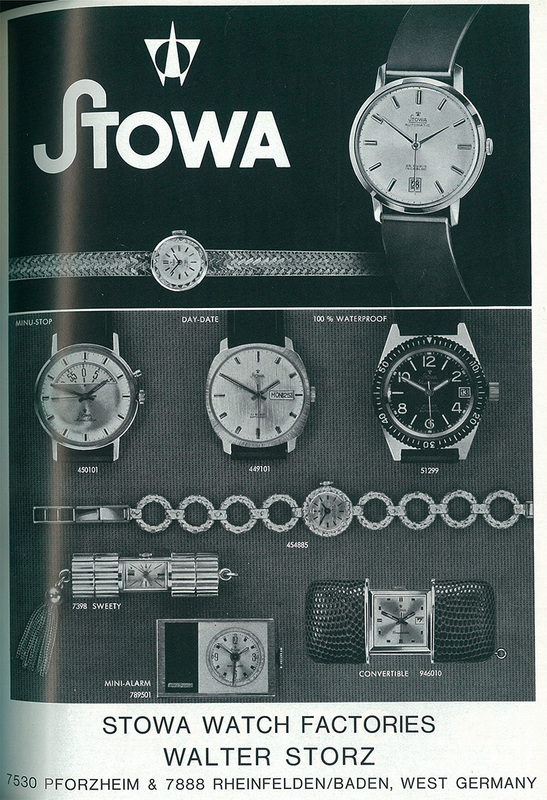 Here are a few examples of ads, catalogs and posters that have been created over the last 90 years. 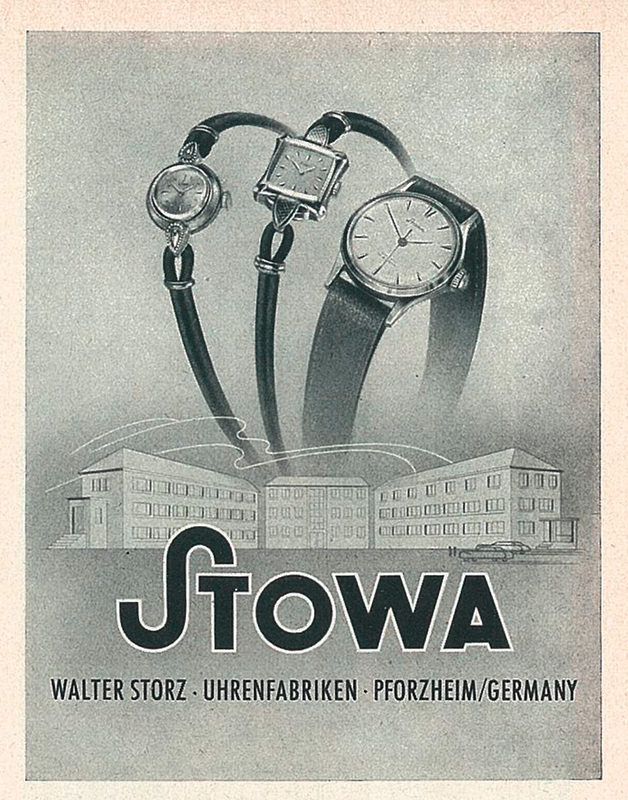 Be inspired by the historical motives..
Advertising of STOWA watches with the imprint "pallas" on the dial. 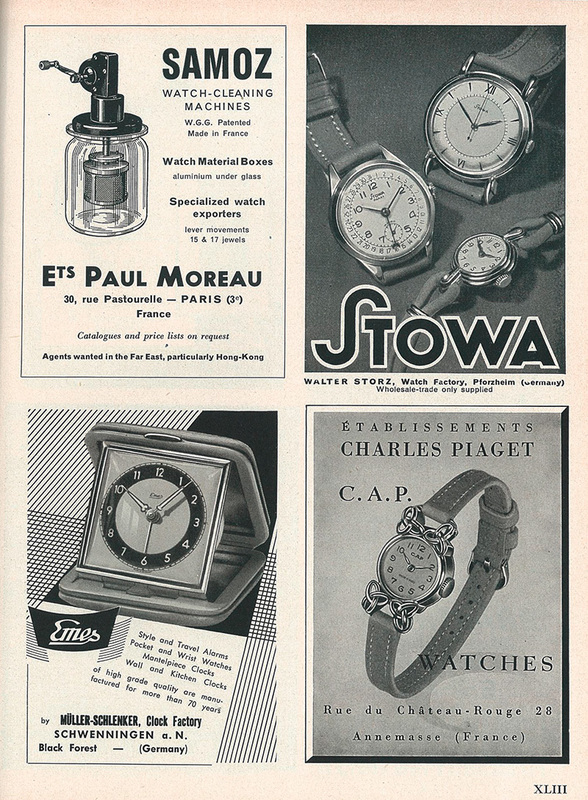 Pallas was a cooperation of various German watch manufacturers for the purpose of joint marketing (from about 1971, STOWA joined the cooperation in 1974). 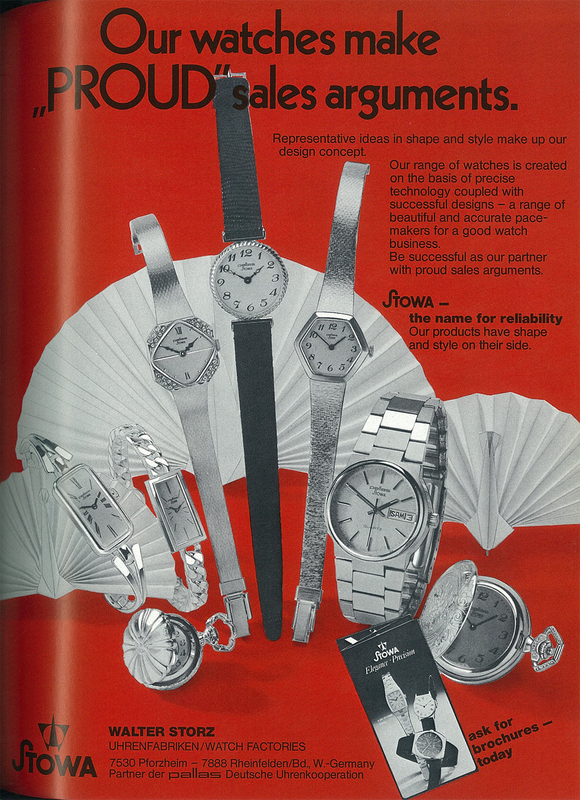 Digital looking watches with mechanic movement! 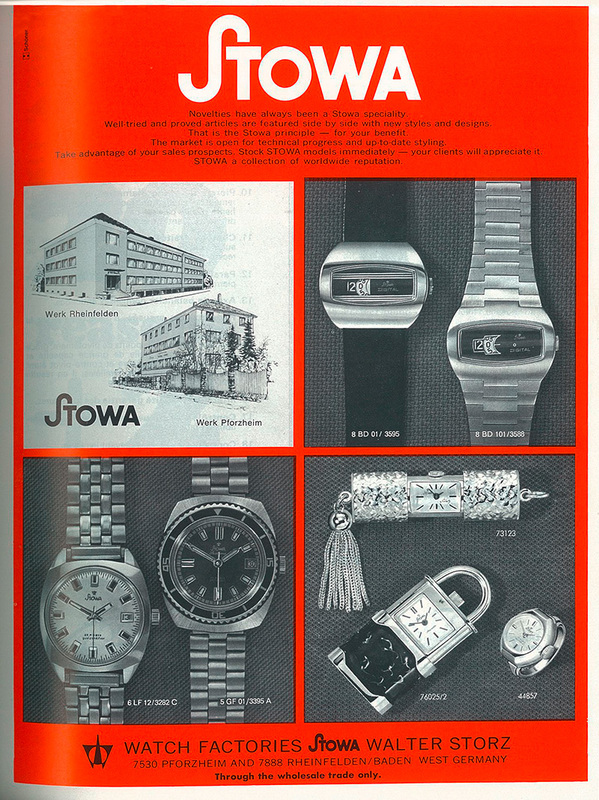 1969 STOWA launchs a very nice ladies diver watch. 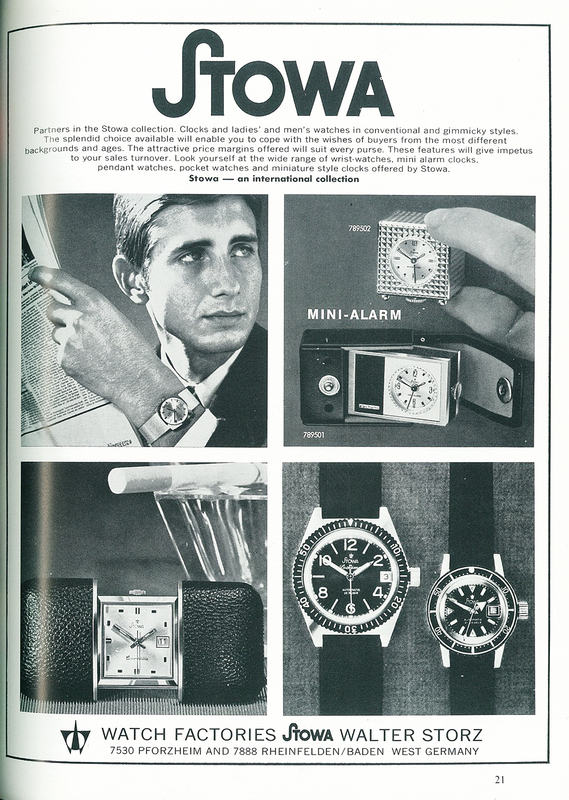 The smallest alarm clock of the world was launched. 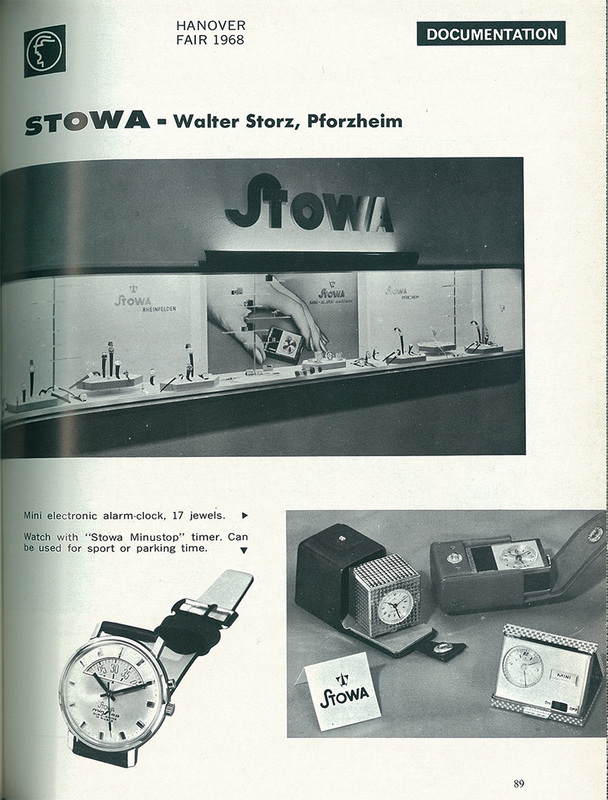 Minustop and Seatime. 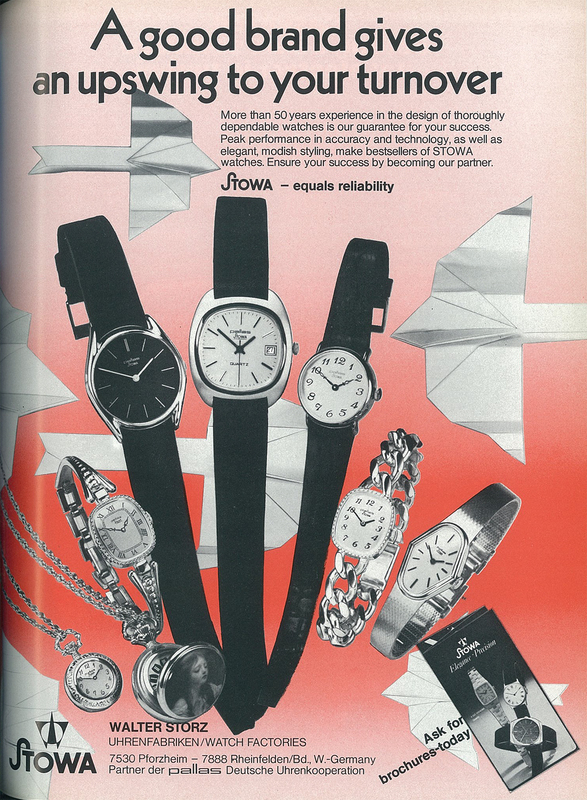 Convertible, a watch for traveling.